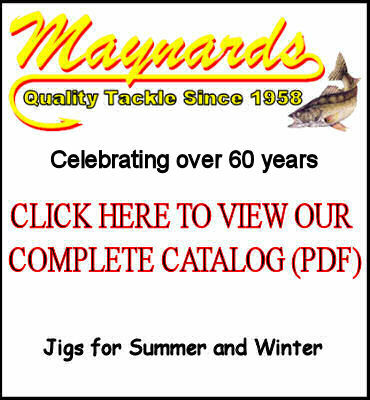 Maynards Tackle is continuing a tradition that was established here in Minnesota in 1958. 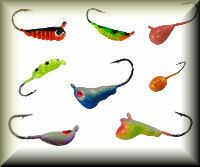 We are proud of the fact that each fishing lure is solely hand-crafted at Maynards Tackle from start to finish. 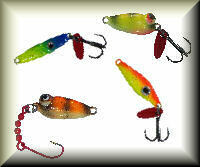 Starting out with a plain hook, the lures are then cast, hand-painted, tied and packaged in-house. 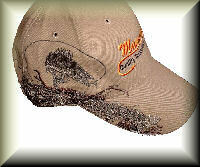 This enables Maynards to provide you with the best fishing products and courteous service - all in a timely manner. 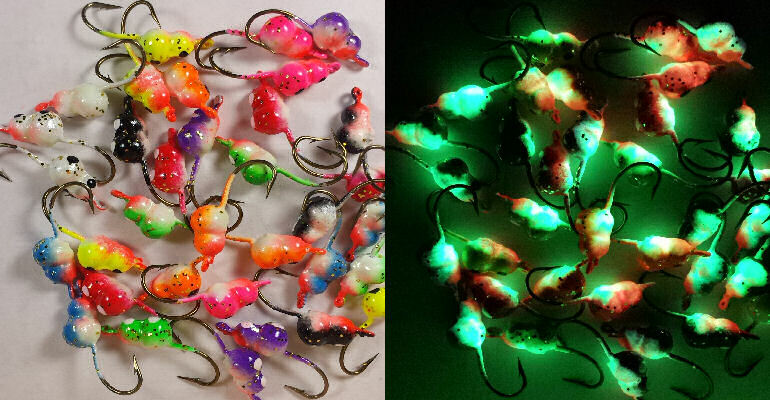 With thousands color combinations in various models to choose from, Maynards Tackle has become one of the largest manufacturers in the United States of fishing jigs. 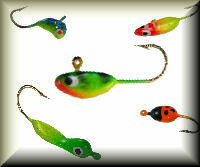 At Maynard's we do all our own mold making so we can provide you with custom fishing tackle of your own design. 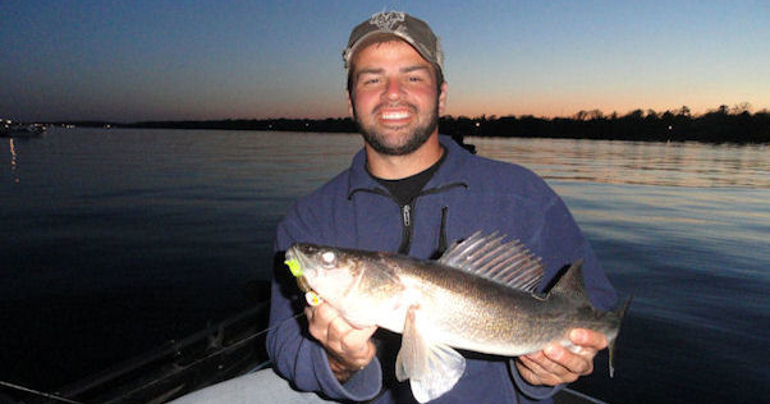 We're here to serve the needs of sportsmen who love ice fishing and freshwater fishing for sunfish, perch, bass, northern, walleye, and crappie using our top quality fishing tackle and supplies. 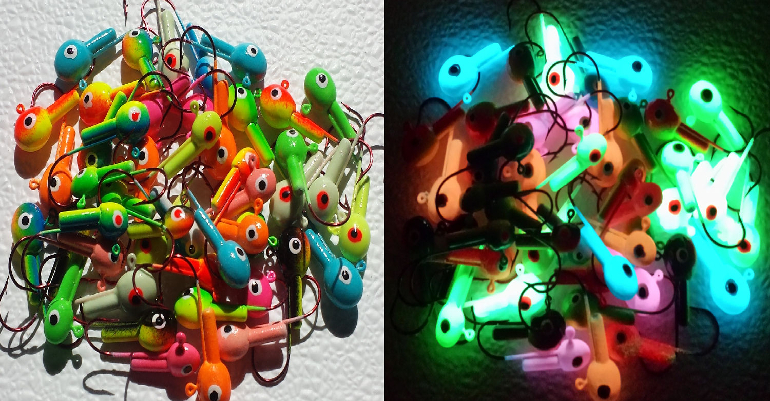 We have a wide variety of hand-crafted fishing jigs for sale that feature our Glow Paint that help you catch more fish every trip. 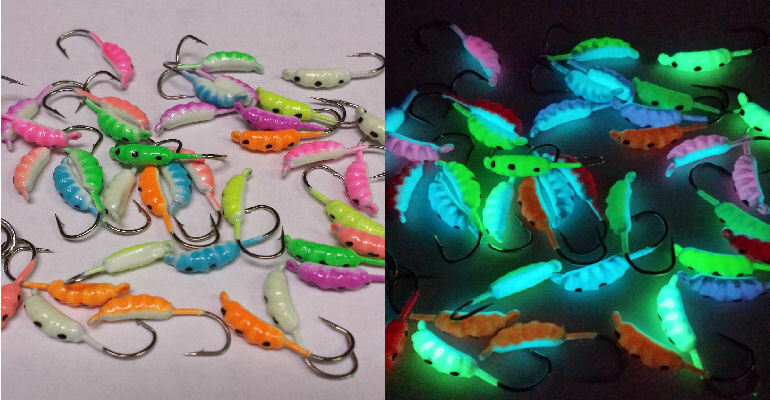 Retailers: Contact us for information on wholesale purchases of our entire line of quality fishing tackle proudly Hand-Crafted in the USA!